This project was built as an experiment with small lasers. It's a communications system that's just about as simple as it gets. 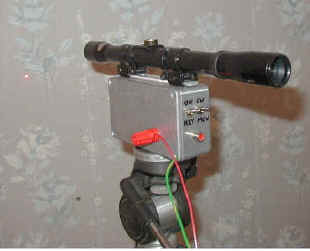 The transmitter is based on a 3mW semiconductor laser pointer module and uses modulated CW.